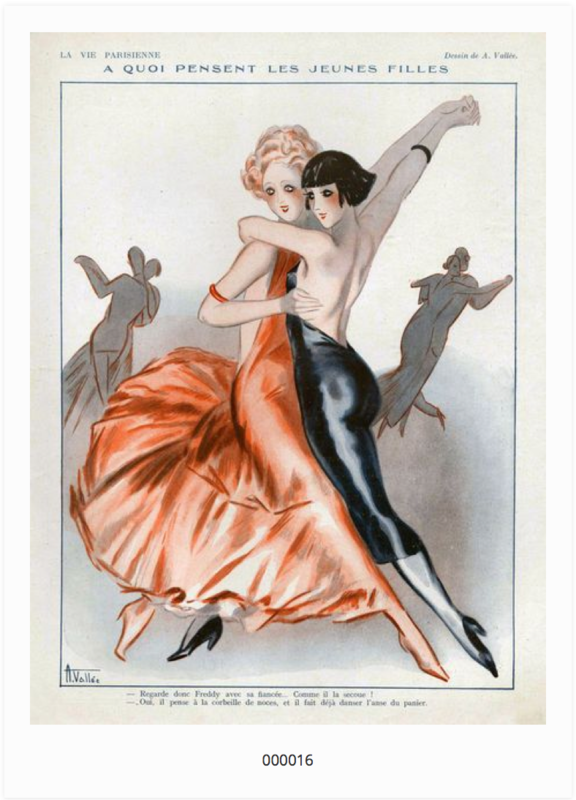 Thank you for wanting to donate an image to the Queer Tango Image Archive! Do we have it already? We want to avoid simple duplication. Check in the archive to see if we already have your image. You can search by categories such as ‘Women couple(s)’. If yours is similar, but diffferent, submit it and say which image it resembles quoting the Inventory number (000032, for example) and how your image is different. If your image is identical, but the context in which you found it or information you have about it is interesting, please make those comments on the website under the image to which it relates. Does it meet the criteria of our Collecting Policy? Check below to make sure your image is one that what we want. Once you have done that: Please complete this form. 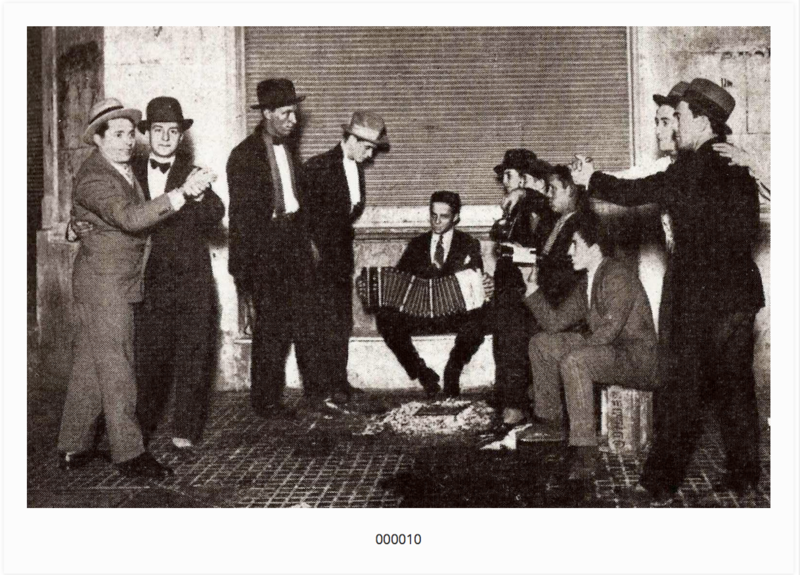 The Queer Tango Image Archive welcomes as digital files all historical, pre-1995, images which relate to the themes and issues touched on by Queer Tango (for a fuller account of these ‘themes and issues’, read the ‘What is Queer Tango?’). We do not normally accept video clips or texts, although exceptionally, we will accept text-based material if it is in the form of an image of an historical artefact (a text-based tango poster, for example). We have decided only to include images which relate to tango. The presence of the word ‘tango’ is normally the test – that is, does it appear on the original image in the case of a postcard for example? Or in its original context? If it does we want it! If it doesn’t, we probably don’t want it. We acknowledge the relavance of such images in building up a wider, social, dance context of what might or might not have happened in the past, but that is not one of the immediate functions of The Queer Tango Image Archive. Exceptionally, we may accept an image where there is evidence other than words that we might be looking at tango – a rose between the teeth, for example, or the kind of embrace or distribution of the dancing couples in a ronda. If you think you have such an image, say explicitly in what you write to go with it what that evidence is. We explicitly do not want and do not archive more recent, post-1995 imagery. While we freely acknowledge such material has historical value, in contrast to older, largely non-digital imagery, there is less danger of it becoming lost to us and, as importantly, it exists in enormous quantities and with thousands of new images accumulating every day. The Archive is run on a voluntary basis. We have elected initially to put our energies into gathering the older, pre-1995 imagery. Consistent with the ethos of The Queer Tango Project, The Queer Tango Archive makes imagery freely available. We invite you to share images with us and if you can, indicate what you believe the copyright status of your image is. We do not archive physical things! There is no Queer Tango Image Archive building with an army of curators! The Archive is virtual, with no physical content. If you have a real, old photograph or an actual piece of sheet music, please photograph it or scan it and send the digital file to us. We urge you to find a public collection for your phyical originals if you do not want to keep them safely yourself. If you are unsure, contact us. We may have suggestions. English only? ¿Solo ingles? Nur Englisch? Только английский? Although the default language of The Queer Tango Image Archive is English, we explicitly do not want to discourage you from submitting in another language. Make your submission in your own language, but include translations into English using Google Translate, https://translate.google.co.uk/ or Spanish Dictionary http://www.spanishdict.com/ or similar. If in doubt – please submit your image! It is our habit to review its terms from time to time.